LONDON—Four men have been arrested after a 3-year-old boy was attacked with a corrosive substance in the UK. 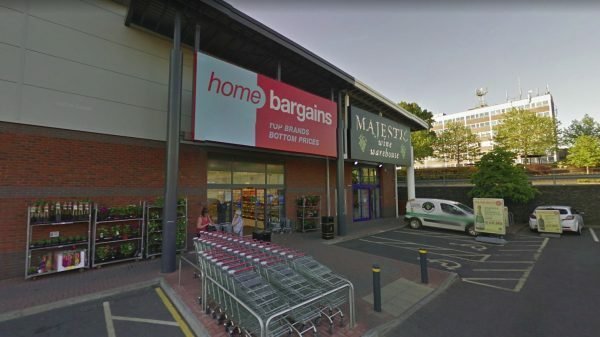 The boy was attacked while sitting in his stroller in a Home Bargains store in Worcester, West Midlands, on Saturday, July 21. He was left with serious burns on his face and arm although he has now been released from hospital. The long-term implications of his injuries are unknown, West Mercia Police said. Three men were arrested in London on suspicion of conspiracy to commit grievous bodily harm and are aged 22, 25, and 26, police said. A 39-year-old man from Wolverhampton in the West Midlands was arrested on Sunday, July 22 on the same charges and is in police custody. Were you in #Worcester yesterday? Do you recognise these men? 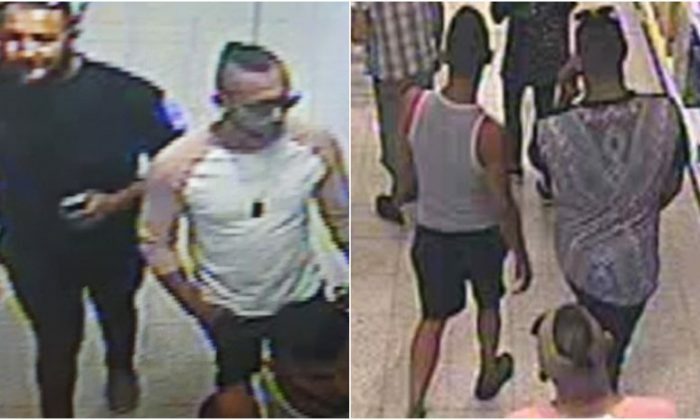 @WMerciaPolice would like to speak to them after a 3 Y/O boy has been seriously injured after an acid attack in Home Bargains at Shrub Hill Retail Park #Worcester. Chief Superintendent Mark Travis from West Mercia Police said in a statement, “This has been a shocking incident which we know has caused a great deal of concern in our community. I can reassure people that Worcester remains a safe place to live and work and that such crimes remain thankfully extremely rare in our area. Speaking at police headquarters in Worcester on July 23, Travis hinted the attack’s motive may have because of a “dispute in communities,” reported The Sun newspaper. One witness told the UK’s Mirror newspaper, “There was a bit of shouting and screaming in the store but then it all went quiet. Then this woman ran outside and started screaming that her baby had been hurt and needed help. The boy was treated in the store by West Midlands Ambulance Service before he was transferred to hospital. Attacks with corrosive substances like acid have been on the rise in the UK for the last few years, although they are mainly associated with gang violence. The acid causes skin to melt, leaving victims with disfigurement, medical issues, and psychological trauma. “The scarring at both a physical and a psychological level can be permanent. Blindness is a common consequence,” said Jaf Shah, executive director of London-based Acid Survivors Trust International (ASTI), in a previous interview with The Epoch Times. The UK has one of the highest recorded rates of acid attacks in the world, with a total of 949 acid attacks reported to police forces in 2017, according to ASTI. The figure has trebled since 2014 they say, costing the country 60 million pounds ($80 million) a year.